The second MLA presentation I participated in was the RART (Reader’s Advisory Round Table) Nonfiction Book Blast. These are always fun, either as a presenter or as an audience member. The other topics covered were Truth That Makes You Laugh, Memoirs, Art-Full Nonfiction, and One Guy’s Nonfiction Trip Through the Dewey Classes. I have the full book lists for both the nonfiction and the fiction presentations. On November 23, 1407, Louis of Orleans, brother to the king of France, was assassinated in Paris by a gang of masked men. The crime stunned the country for its brutality (he was literally hacked to pieces) and also, more seriously, because Louis was frequently called upon to be regent when Charles VI descended into one of his periods of incapacitating madness. Guillaume de Tignonville, the Provost of Paris, was called upon to solve the crime. What is fascinating for modern readers is Guillaume’s meticulous record keeping, which enables us to see exactly how a murder investigation of a very important person was handled in medieval Paris. Witness statements were taken, forensic evidence was collected, and surprisingly little torture was used, although it was considered a valid method of detection. In the end, the reasons for Louis’ murder were mired in politics; the man who ordered the killing was never brought to justice, and Guillaume became another victim—he lost his position, and died on the battlefield several years later as a common soldier. In the summer of 1889, Toussaint-Augustin Gouffé, a Paris bailiff, was killed by Michel Eyraud and his mistress Gabrielle Bompard. They stuffed the body into a trunk, which they then disposed of outside of Paris, and fled the country. Eventually they were tracked down; Michel in Cuba and Gabrielle in the US, and were returned to Paris to stand trial for the crime. This case is notable for being one of the very first to use modern forensic methods to definitively identified the badly decayed body—there was considerable doubt as to who the victim was until Dr. Alexandre Lacassagne used newly available techniques to provide a positive identification. It was also significant because Gabrielle claimed that Michel had hypnotized her, and that she was therefore not a willing participant in the crime, which led to much scientific debate about reason, judgment, culpability, and responsibility. In the end, the pair were found guilty of the crime: Michel Eyraud was sentenced to death, and Gabrielle Bompard was sentenced to twenty years hard labor. On March 20, 1911, thirteen-year-old Andrei Yushchinsky was found stabbed to death in a cave on the outskirts of Kiev. 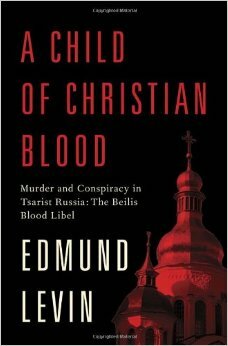 Four months later, with no evidence linking him to the crime, Mendel Beilis was arrested for the murder, and was further accused of having committed the murder as part of a Jewish ritual that calls for the blood of Christian children (the Blood Libel of the title). There is documented evidence that the authorities knew that Beilis was innocent on both counts, but that they felt they could not back down once the charges had been made, as the authorities did not want to risk anything that could further destabilize the already fragile political situation in Russia. Beilis was eventually acquitted of the crimes of which he was accused, but it took several years (during which he was imprisoned), and was watched around the world. Contemporaries frequently compared the case to that of Alfred Dreyfus. No further arrests were made, and the murder of Andrei Yushchinsky remains unsolved. Sadly, his death has become a focus for far right groups in both Russia and the Ukraine. 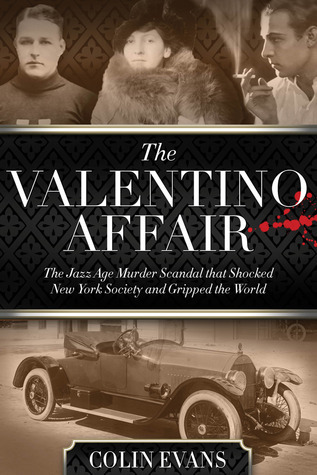 Jack and Blanca de Saulles were considered a golden couple of New York society, but the reality was much less glamorous. The marriage had been in poor shape since day one—Jack married Blanca because she was an heiress, but he was furious to learn that her money was held in trust. Blanca was in love with Jack, and humiliated by his continual affairs with showgirls and other loose women. Things looked up briefly after the birth of their son in 1912, but rapidly spiraled out of control once more. In 1916 Blanca asked for and was granted a divorce, but the poor relations between the two continued, now focused on custody issues of their son. Finally, Blanca could no longer take the abuse and humiliation. On August 3, 1917, Blanca shot Jack dead in front of his family, and then calmly sat with her maid and waited for the police. The ensuing trial was a media circus, but Blanca was acquitted of murder and gained full custody of her son. In September 1922, Edward Hall and Eleanor Mills were found shot dead underneath a crabapple tree in New Brunswick, New Jersey. The two had been having an affair. In September 1922, Scott and Zelda Fitzgerald moved from St Paul to New York. When Fitzgerald began working on The Great Gatsby in 1924, he set it in 1922, and drew heavily from his own life and experiences for inspiration. 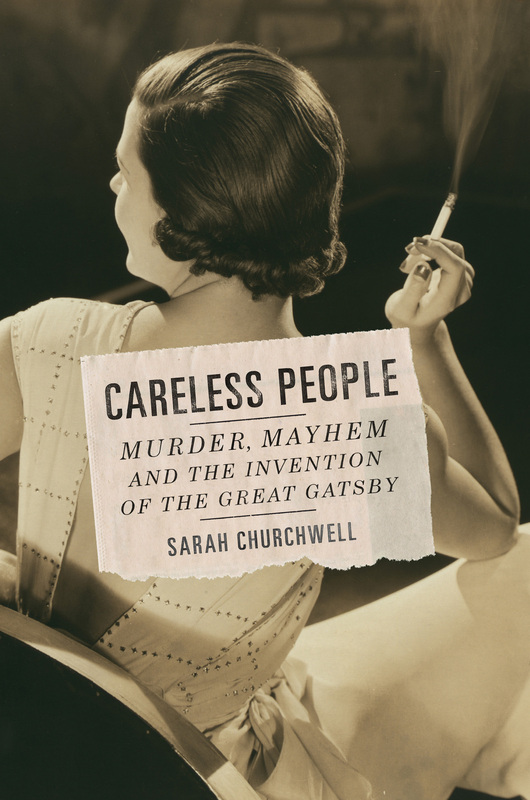 While there is no direct link between Gatsby and the Hall-Mills case, there are some few similarities, and the author explores them in this book. 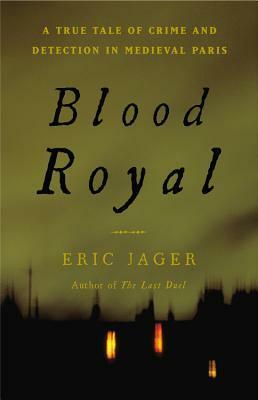 Mostly, however, it is a study of the Fitzgeralds, and an analysis of The Great Gatsby; the information regarding the murder is few and far between. The case was never solved, and is mostly remembered today for the media circus that accompanied it. All that Jazz. Roxy Hart and Velma Kelly. Razzle dazzle ’em. 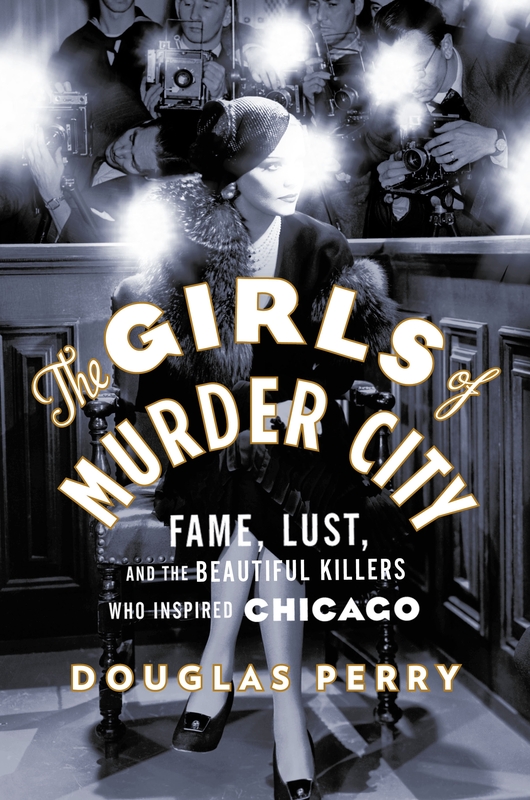 “Chicago,” be it the stage musical or the movie, is based on a play, which is based on real-life killers. This book tells their story. Belva Gaertner and Beulah Annan are the two women who inspired that story. Belva, a rich divorcée, was arrested for shooting her boyfriend, while Beulah, who was married, was arrested for shooting a man she said had was a burglar, but who she had been cheating on her husband with. The third woman whose story is told in this book is journalist Maurine Watkins, who reported on Belva, Beulah, and all the other women on “Murderess Row.” It’s a fascinating look at a story you think you already know. 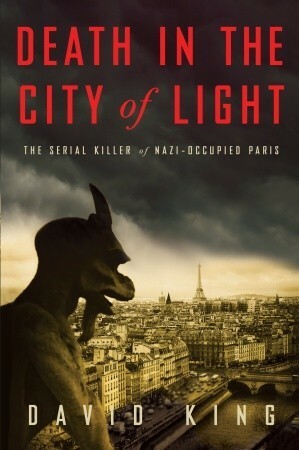 Dr. Marcel Petiot was a doctor who lived in Paris. During the Occupation, he posed as a member of the Résistance and offered to help smuggle people out. In reality, he killed them. He had been killing people for years, even before the war, and disposing of their bodies, but the chaos of the Occupation gave him more leeway to indulge himself. He was only discovered because of a chimney fire. While it is suspected he killed as many as 150 victims, he was only able to be charged with the deaths of 27. Dr. Petiot went to the guillotine protesting that he had only killed Nazis and collaborators. While the story is both gruesome and horrifying, how the crimes were discovered and the evidence was pieced together is fascinating; the trial itself is a different kind of horror. Probably my most highly recommended book on this list. Han van Meegeren was a frustrated artist who couldn’t catch a break. 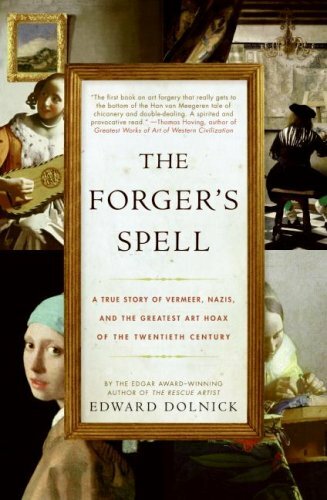 So he turned to forgery. He started his career by “discovering” a new Vermeer painting in 1937. Vermeer was a good choice; he was a very popular painter, but his output was incredibly small, so any newly discovered work would be cause for celebration. And when no one became suspicious, van Meegeren did it again. And again, and again, and again. While his skills as a painter were never that good (and in fact only grew worse as he chrned out forgery after forgery), the tricks and techniques he used to age his paintings became more and more sophisticated. Eventually, after the war, he was caught. Initially he was charged with selling authentic Vermeers to Nazis, which branded him a collaborator, and carried a death sentence. To save himself, he confessed that all of the paintings in questions were forgeries he himself had made, and was subsequently put on trial and sentenced to a prison term for forgery and fraud. Van Meegeren died before he served any time in prison. In 1994, Peter Jackson released his film “Heavenly Creatures,” based on a notorious 1950s crime in New Zealand. What very few people at the time realized was that best-selling novelist Anne Perry was one of the girls that the movie portrayed. Born Juliet Hulme, she and her best friend Pauline Parker killed Pauline’s mother on June 22, 1954, when they were both teenagers. They were found guilty, sentenced to five years in prison (in separate facilities), and forbidden to have any contact with each other for the rest of their lives. Juliet eventually emigrated to the UK, changed her name to Anne Perry, and became a writer. When the movie came out, she was enjoying a very successful career, and although she had been dreading this day ever since she became a public figure, she stil had to find a way to deal with the aftermath of her own past mistakes. 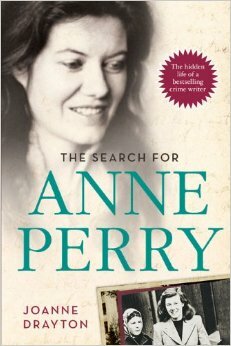 This is an authorized biography; Anne Perry cooperated with the author and granted several interviews, with makes this a very humane and compassionate portrayal, rather than a grubby tabloid sensation. Forbes Smiley was a rare books and map dealer on the east coast (initially based out of New York, then Martha’s Vineyard). Initially he was a buyer for others, and then he started his own business. In the beginning, he was honest, but at some point, he began stealing. 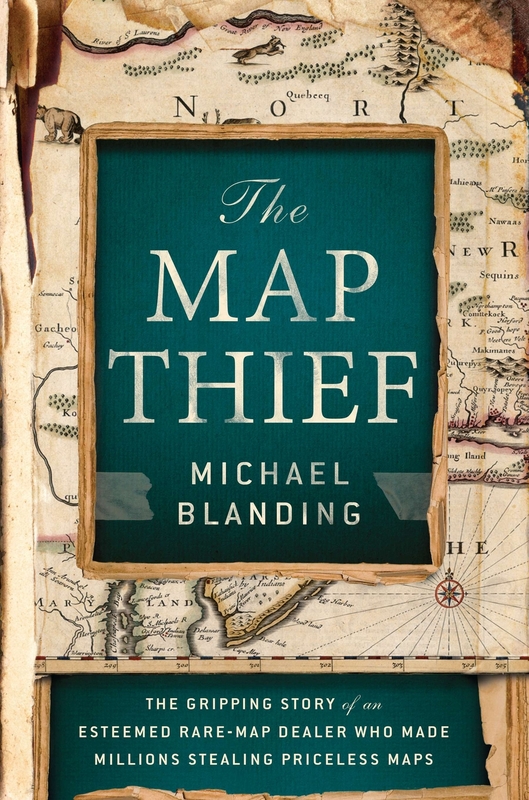 Some of the maps he sliced out of rare books, some he stole out of unbound collections, and sometimes he just ripped pages out of folios. Unfortunately, even in libraries with very rare collections, security can often be lax not to mention that cataloging this type of collection is very difficult, which can unfortunately lead to this sort of behavior. Another problem is the antiquarian world itself—it’s a very fine line between a reputable dealer and a crooked one, and collectors themselves can unfortunately sometimes care more about getting a specific item than the particulars of its provenance. Smiley was caught by a vigilant librarian, but because the justice system doesn’t see theft of documents and damage to books as a terrible crime, his punishment was relatively light. He is no longer allowed to deal in maps. I am a member of DORT, the Diversity and Outreach Roundtable, which is a subunit in the Minnesota Library Association. At the recent MLA conference, several members of DORT presented on diverse books. The topic desciption that was submitted to the conference was very broad, which allowed each of us to choose what we were persoanlly passioante about as our individual topic. I spoke about adult genre fiction, where it is often difficult for authors of color to break out. Since I only had ten minutes for my portion of the presentation, I was unfortunately only able to highlight the following six books (all of which I have read and enjoyed). 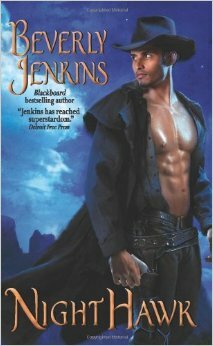 Beverly Jenkins always adds an unobtrusive history lesson to her books, which is part of the reason I enjoy them. Her characters are strong, diverse men and women who celebrate their heritage, and welcome breath of fresh air in a genre that can, at times, seem overburdened with tortured nobility. Night Hawk is the story of Ian Vance, a bounty hunter who had been featured in a few of Jenkins’ previous books, and Maggie Freeman, a woman accused of killing a white man who had molested her. Although Ian initially plans to simply deliver Maggie safely to her trial judge, he comes to admire her spirit and quickly realizes that she is not guilty of the crime she is accused of. The two travel to Ian’s home in Wyoming, while slowly building a life together—each is running from a past that still haunts them, and while both desire a future with the other, there are obstacles they must overcome. Jeannie Lin’s Tang Dynasty romances are a series of four loosely connected books that take place in China during the Tang Dynasty (618-907 CE). 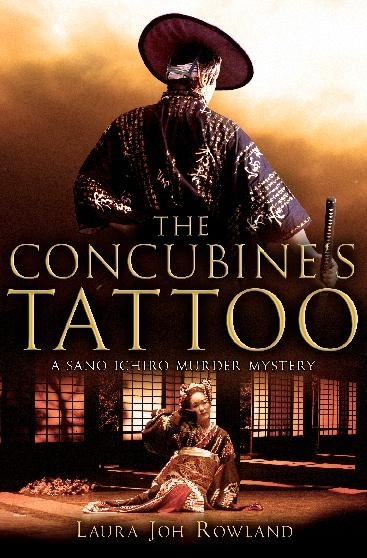 She has recently started a new series, the Pingkang Li Mysteries, also set during the Tang Dynasty. 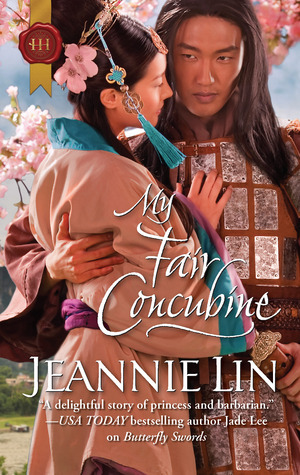 My Fair Concubine is the story of Fei Long and Yan Ling. Fei Long’s sister has run away rather than be sold off in a politically expedient arranged marriage, and Fei Long must find a replacement to preserve the family honor. Yan Ling is a servant at a teahouse who yearns for a better life. Realizing that they are in a position to assist the other, the two come to an arrangement, and Fei Long does his best to transform a servant into a lady. But when the time comes to hand Yan Ling over to the Emperor, Fei Long realizes he might have gotten more than he bargained for. Yes, it is a retelling of “My Fair Lady,” just in case the title alone was not enough to tip you off. 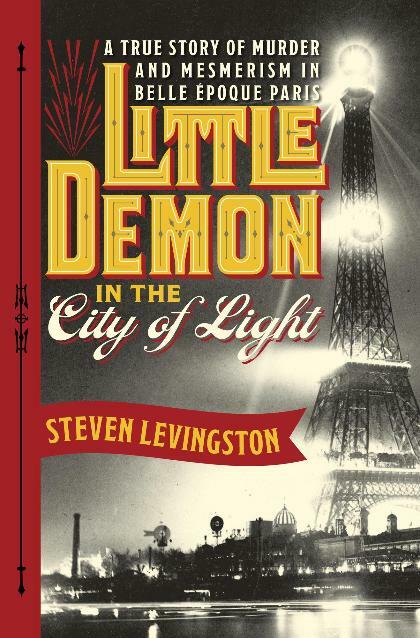 But the setting of the story and the attention paid to detail and characterizations raise this far above a run-of-the mill retelling to a thoroughly enjoyable read. 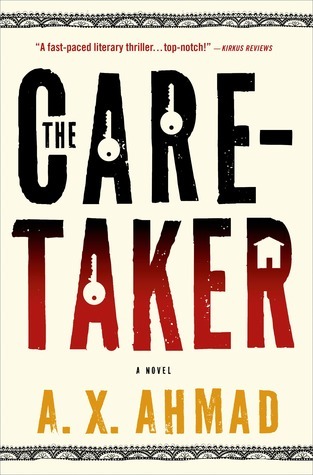 While many thrillers involve vast international conspiracies that only one man can thwart due to his superior skills and knowledge, this book (the first in a series by debut author Ahmad) is a thriller on a much smaller scale. Ranjit Singh, a disgraced ex-Indian army officer living with his family in the US, is trying to make a go of his landscaping business on Martha’s Vineyard. Things seem to be looking up when Ranjit gets a job as an off-season caretaker for Senator Neals—he has a steady income, and he decides, despite his better judgment, to move his family into the Senator’s house for the winter. But suddenly things go very wrong: Ranjit’s family has been picked up and is awaiting deportation back to India, and Ranjit has been sucked into a conspiracy that stretches all the way from Washington to India, to the scandal that drove Ranjit out of the army. I don’t read very many thrillers, as I generally find them too far-fetched or hysterical to suspend my disbelief, but this one had just the right mix of plausibility and intrigue to keep me interested. I will be reading the sequel, to see how Ranjit deals with the unresolved problems from this book. A high fantasy novel that does not take place in a stand-in for medieval Europe! Instead it is in a stand-in for a medieval Arabic kingdom, but without all the annoying orientalist trappings that so often mar these settings. It’s wonderful, and I can’t wait for the sequel. Doctor Adoulla Makhslood is ready to retire from his career as a ghul hunter and enjoy tea and biscuits and relaxing with his friends, when word comes that the clan of the Badawi has been almost entirely slaughtered. Adoulla and his assistant Raseed are soon joined by Zamia, the sole survivor of the attack. 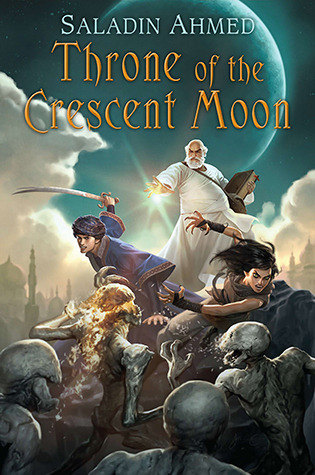 Together they discover that the massacre was part of a larger plan by an unknown evil adversary to destroy the great city of Dhamsawaat—and possibly the world. 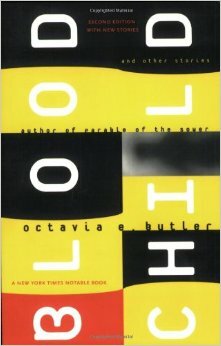 The seven short stories and two essays in this collection are a perfect introduction to Octavia Butler’s work, especially as each piece features a short afterword by the author explaining how it came to be written, what her intent was with the piece, or how her thoughts on a particular subject led her to create something entirely different. While Butler did not consider herself a short story writer, and indeed in the introduction to this book says that she hates writing short stories, they still creep into your brain and stick with you, just as her longer fiction does. My favorite stories are “Speech Sounds,” set in a post-apocalyptic world ravaged by a disease that has destroyed people’s communication skills; “The Evening and the Morning and the Night,” in which individuals who have a terrible genetic disease are faced with limited choices, none of them good; and “Amnesty,” in which an abductee now works with the group that abducted her for the benefit of both. The two essays are about writing, and her experiences as an author of color in the sff community, and should be required reading for any aspiring writer, no matter what genre they hope to publish in.